In Tennessee, transitional alimony is support paid by a former spouse to the other spouse for a definite period of time when rehabilitation is not necessary but one spouse needs some time to adjust to new financial circumstances after separation or divorce. The facts of Jessica Catherine Hayes v. Douglas Aaron Hayes are Catherine Hayes (Mother) and Douglas Hayes (Father) were married on November 18, 2006. Their marriage produced two children, who attended private school. After almost six years of marriage, Mother filed for divorce in 2012 alleging irreconcilable differences. Mother amended her complaint on September 17, 2013 to include inappropriate marital conduct as a ground for divorce. Father subsequently filed his answer on September 23, 2013. On January 28, 2013, the parties attended mediation. At mediation, Father and Mother settled many issues. The parties, however, were unable to resolve the issues of the ground for divorce, alimony, responsibility for payment of private school tuition, decision-making authority for education, and child support. A bench trial was held on September 26, 2013 to resolve the remaining issues. Father and Mother were the only witnesses to testify at trial. Father testified that he had earned a college degree and had been employed as a sales representative for Budweiser of Hopkinsville for four years. The evidence surrounding Father’s income was somewhat muddled. Father testified that, in November 2012, Budweiser restructured their compensation scheme whereby sales representatives no longer earned commissions. Father stated that this restructuring reduced his prior income by about $500.00 to $600.00 per month. After Budweiser restructured its pay system, Father testified that he made approximately $3,600.00 per month in gross income. Father also testified that his net income was approximately $2,400.00 per month because various expenses, such as taxes and insurance, are deducted from his paychecks. Mother offered evidence of Father’s current paystubs, which tended to contradict Father’s assertion. In addition to working for Budweiser, Father also earned income as an amateur bowler by bowling in tournaments and local league play. However, his income from bowling varies by year depending on how successful he is at tournaments and in league play. At trial in September 2013, Father testified he had been to several bowling tournaments in 2013, but he had only earned $500.00 in gross winnings so far. In 2012, he participated in twelve bowling tournaments over a period of six months. According to Father, the year 2012 was Father’s most productive year in bowling, and he earned gross winnings of approximately $5,500.00. During a good year, Father testified that he can win two tournaments, where the prize money typically varies from $1,000.00 to $3,000.00. However, included in his bowling expenses are entry fees, gas, hotel accommodations, and food expenses. After Father pays his bowling expenses, he testified that he is able to net approximately one-half or one-third of the actual prize amount. Furthermore, Father testified that his father is his “backer” and receives a portion of the prize money for covering Father’s up-front expenses. Father’s testimony is unclear as to when he pays his bowling expenses or when his father pays his expenses. At trial, Mother produced a calendar of the times Father spent bowling or participating in other activities. Her calendar, which includes dates from March 2012 to September 2012, indicated that Father spent twelve weekends out of town bowling, spent thirty-nine nights at local bowling, attended four out-of-town golf trips, and spent one weekend at a “beer fest.” Mother testified that Father often would inform her the night before a trip that he would be out of town. Although Father testified and reported on his tax return that his gross earnings from bowling in 2012 were $5,500.00, Mother’s testimony contradicted Father’s evidence. According to Mother, in July 2012, Father won $4,000.00 in a tournament, and in December 2012, Father won half of the $7,000.00 prize at a tournament as part of a two-man team. Thus, Father’s gross earnings from bowling in 2012, according to Mother, were $7,500.00. Mother testified that she has a high school diploma and also attended college for some time, but she never earned a college degree. She did, however, hold several jobs at different times throughout the marriage. Specifically, Mother was employed at a country club, as a dance teacher, and as a massage therapist. Mother had lost her job at the Clarksville Country Club, where her father was the golf pro, due to the passage of a new board rule in January 2012 prohibiting family members from being employed concurrently. In the year prior to trial, Mother earned $1,100.00 doing choreography for the local high school. Although Mother obtained a degree in massage therapy, she testified that her license is not current because she had been unable to attend the out-of-town continuing education classes because Father was out-of-town at the same time and she had no child care. At the time of trial, Mother was employed part-time teaching dance classes where her daughter attended classes, earning $400.00 per month. She also expected to be able to secure employment at a new golf club, The River Club. At no point did Mother indicate that she could earn more than minimum wage. Both parties testified regarding the minor children, focusing heavily on the children’s private school. The children have attended a local Catholic private school since preschool. At the time of trial, the minor children were in the first and second grades. According to the testimony of both Mother and Father, the decision to enroll the children in private school was a mutual decision. However, while Mother testified that she intended for the children to remain in their private school until eighth grade, Father testified that he only intended for them to remain in the private school during their formative years, which he indicated as only up until first or second grade. Mother testified that Father always used his bowling earnings to cover the cost of the children’s private schooling, which tuition totaled approximately $1,000.00 per month. Mother testified she wanted the children to remain in private school after the divorce because of their need for stability. The trial court ruled in favor of Mother awarding her a divorce based on the ground of inappropriate marital conduct and gave her the authority to make all of the educational decisions for the children. Mother’s request that the children remain in their private school was also granted. With regard to child support, the trial court found that Father’s annual income from his employment at Budweiser was approximately $49,949.00, with a gross monthly income of $4,162.50. The trial court imputed an additional $500.00 per month to Father for his bowling earnings. Father was ordered to pay Mother $500.00 per month for thirty-six months as transitional alimony and $2,500.00 for her attorney’s fees as alimony in solido. In addition, Father was ordered to pay $807.00 per month for child support and $500.00 per month for the children’s private schooling. 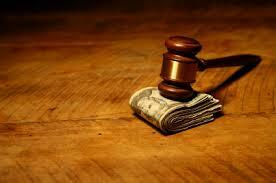 The Appellate Court affirmed the trial court’s rulings regarding child support and alimony. However, the Court vacated the trial court’s ruling on the payment of private school tuition due to the trial court’s failure to comply with the Tennessee Child Support Guidelines. If your marriage is over and you desire to be divorced but are concerned about the complication of an alimony dispute with your spouse as it relates to the best interest of your children, you should seek the services of an experienced family law attorney. Contact Jim Widrig or any of the attorneys at Widrig Law, PLLC to schedule a free consultation. Our phone number is 615-417-7800.